The Common Agricultural Policy (CAP) is the agricultural policy of the European Union. It implements a system of agricultural subsidies and other programmes. It was introduced in 1950 and has undergone several changes since then to reduce the cost (from 73% of the EU budget in 1985 to 37% in 2017) and to also consider rural development in its aims. It has been criticised on the grounds of its cost, and its environmental and humanitarian impacts. The circumstance that led to the development of the CAP occurred in the late 1950s to late 1960s. At the time, there was no example of a successful agricultural integration in Europe. However, two main factors contributed to the creation of this policy. This includes the promise European Economic Community (EEC) made to France bargaining the integrated agriculture policy in favor of France's part in ratifying the Treaty of Rome and due to a lack of substantial policy in agriculture beyond a few pre-existing legal stipulations that some considered, “weak, vague and highly underdeveloped.” Thus, leading to the creation of article 39 in a set of five social and economic objectives. As part of building a common market, tariffs on agricultural products would have to be removed. However, the political clout of farmers and the sensitivity of the issue made it take many years before the CAP was fully implemented. The Spaak Report of 1956 stated that a European common market that excluded agriculture was unthinkable. It argued that security of food supply was paramount and raised a series of questions about agriculture that needed to be answered by policy-makers. The Treaty of Rome, signed in March 1957, established the European Economic Community (EEC) and it was mainly due to the French pressure that the Treaty included agriculture. However, due to disagreements within the Six over agricultural policy, the articles on agriculture were vague and policy making was left until after the Treaty had been signed. Article 39.1 of the Treaty set out the objectives of the CAP: to increase productivity through technical progress and the best use of the factors of production (such as labour); to ensure a fair standard of living for communities employed in agriculture; to stabilise markets; to secure the availability of supplies; and to enforce fair prices. Article 39.2 stated that policy makers must take into account three factors: the circumstances of each agricultural activity due to the social structure of agricultural communities and the inequalities between richer and poorer regions; the need to act gradually to allow agriculture sufficient time to adjust; and to remember that agriculture was heavily integrated in the wider economy. Article 40 provided for the common organisation of markets and common prices, along with a fund to pay for it. Article 41 allowed for the introduction of additional measures to implement Article 39, such as the co-ordination of vocational education and research, the "dissemination of agricultural knowledge" and the encouragement of consumption of certain goods. Article 42 allowed the Council of the Community to decide how far the regulations on competition could apply to agriculture. This Article also allowed them to grant aid. It is the core of Europe's achievements which is under threat: a whole civilization which rests on the inalienable freedom and dignity of the individual...this tragedy of liberty is also a tragedy of the rural class. Let us look around us, and, alas, we have not far to look; the rural class is its first victim. It is for this reason that we are convinced that the European rural class will count among the most trustworthy pillars of our unified European market. Because its fate is also at stake, and is one of the first threatened. In this room there is no one whose family tree doesn't reach back, sooner or later, to farming roots. We know what the rural class means to Europe, not only through its economic values, but also by its moral and social values. The conference's Final Resolution argued for the vital importance of agriculture in economic and social life and expressed their unanimous wish to preserve the character of European farming, which was predominately based on small-size, family holdings. They agreed that it was necessary to help these farms increase their economic capacity and competitiveness. They also advocated structural changes to rationalise and cheapen production, which was intended to improve productivity. The Resolution also included a commitment to a price policy. Therefore, during 1958–1959, the Commission drafted the CAP and the Assembly commissioned reports into agriculture. The Commission submitted draft proposals in November 1959 (which were debated in the Assembly and by the Economic and Social Committee) and its final report in June 1960. In December the Council agreed to a system of import levies (for grain, sugar, pork, eggs and poultry) and to commodity regimes for agricultural produce. They also introduced the principle of Community Preference in the implementation of the levies and for the negotiation of commercial treaties with outside countries; this ensured that any trade concession granted to an outside country could not weaken the European producer in the Community market. In 1962 the European Agricultural Guidance and Guarantee Fund was founded to provide money for the CAP's market regimes. A year later the Fund was split into two bodies, the Guarantee side implemented market and price support and the Guidance part supplied structural aid. A Community regulation of 1964 provided detailed arrangements for the working of the Fund, including for estimating export refunds, the Community's main tool for controlling the market. Market regimes had been implemented for most agricultural produce by the end of the decade. An agreement in 1966 facilitated the completion of the single market for agriculture (which came into effect a year later), a single price support system and uniform protection against imports from outside countries. Hallstein hailed this agreement as the single most important stage in forging European unity because it helped to complete the CAP. The six member states individually strongly intervened in their agricultural sectors, in particular with regard to what was produced, maintaining prices for goods and how farming was organised. The intervention posed an obstacle to free trade in goods while the rules continued to differ from state to state since freedom of trade would contradict the intervention policies. Some members, particularly France, and all farming professional organisations wanted to maintain strong state intervention in agriculture. That could not be achieved unless policies were harmonised and transferred to the European Community level. The CAP is often explained as the result of a political compromise between France and Germany: German industry would have access to the French market; in exchange, Germany would help pay for France's farmers. On 21 December 1962, Sicco Mansholt, the European Commissioner for Agriculture, sent a memorandum to the Council of Ministers concerning agricultural reform in the European Community. This long-term plan, also known as the '1980 Agricultural Programme' or the 'Report of the Gaichel Group', named after the village in Luxembourg in which it had been prepared, laid the foundations for a new social and structural policy for European agriculture. In 1992, the MacSharry reforms (named after the European Commissioner for Agriculture, Ray MacSharry) were created to limit rising production, while at the same time adjusting to the trend toward a more free agricultural market. The reforms reduced levels of support by 29% for cereals and 16% for beef. They also created 'set-aside' payments to withdraw land from production, payments to limit stocking levels, and introduced measures to encourage retirement and afforestation. On 26 June 2003, EU farm ministers adopted a fundamental reform of the CAP, based on "decoupling" subsidies from particular crops. (Member states could choose to maintain a limited amount of specific subsidy.) The new "single farm payments" were subject to "cross-compliance" conditions relating to environmental, food safety and animal welfare standards. Many of them were already either good practice recommendations or separate legal requirements regulating farm activities. The aim was to make more money available for environmental quality or animal welfare programmes. The political scientist Peter Nedergaard analysed the 2003 reform on the basis of rational choice theory and stated that, "In order to arrive at an adequate explanation, an account of the policy entrepreneurship on the part of Commissioner Franz Fischler must be given." Details of the UK scheme were still being decided at its introductory date of May 2005. Details of the scheme in each member country could be varied subject to outlines issued by the EU. In England, the Single Payment Scheme provided a single flat rate payment of around £230 per hectare for maintaining land in cultivatable condition. In Scotland, payments were based on a historical basis and could vary widely. This scheme allowed for much wider non-production use of land that might still receive the environmental element of the support. Additional payments were available if land was managed in a prescribed environmental manner. The overall EU and national budgets for subsidy were capped. That prevented the EU being required to spend more on the CAP than its limited budget. One of the crops subsidised by the CAP was sugar produced from sugar beet; the EU was by far the largest sugar beet producer in the world, with annual production at 17 million metric tons in 2017. That compared to levels produced by Brazil and India, the two largest producers of sugar from sugar cane. Sugar was not included in the 1992 MacSherry reform or in the 1999 Agenda 2000 decisions; sugar was also subject to a phase in (to 2009) under the Everything But Arms trade deal giving market access to least developed countries. As of 21 February 2006, the EU decided to reduce the guaranteed price of sugar by 36% over four years, starting in 2006. European production was projected to fall sharply. According to the EU, this was the first serious reform of sugar under the CAP for 40 years. Under the Sugar Protocol to the Lome Convention, nineteen ACP countries export sugar to the EU and would be affected by price reductions on the EU market. These proposals followed the WTO Appellate Body, largely upholding on 28 April 2005 the initial decision against the EU sugar regime. The EU abolished sugar quotas in September 2017. The policy has evolved significantly since it was created by the Treaty of Rome (1957). Substantial reforms over the years have moved the CAP away from a production-oriented policy. The 2003 reform introduced the Single Payment Scheme (SPS) or as it is known as well the Single Farm Payment (SFP). The most recent reform was made in 2013 by Commissioner Dacian Ciolos and applies for the period 2014 to 2020. The direct aids and market related expenditure made up 31% of the total EU budget in 2010. Together with 11% for Rural Development, the total CAP budget took 42% of the total EU budget The CAP budget shrunk relatively from 75% in 1984 to 37% of the total EU budget in 2017. Intervention mechanisms diminished significantly, for instance the Commission only intervened on: common wheat, butter, and skimmed milk powder. The Health Check of the CAP agreed in November 2008 added on a number of measures to help the farmers to respond better to signals from the markets and to face new challenges. Among a range of measures, the agreement abolished arable set-aside, increased milk quotas gradually leading up to their abolition in 2015, and converted market intervention into a genuine safety net. Ministers also agreed to increase modulation, whereby direct payments to farmers were reduced and the money transferred to the Rural Development Fund. Milk quotas expired in April 2015. To prepare the dairy farmers for this transition, a 'soft landing' was ensured by increasing quotas by one percent every year between 2009–10 and 2013–14. For Italy, the 5 percent increase was introduced immediately in 2009–10. In 2009–10 and 2010–11, farmers who exceed their milk quotas by more than 6 percent had to pay a levy 50 percent higher than the normal penalty. Since 2000, the EU Rural Development Policy has been in effect, also known as the "second pillar" of the CAP. This policy aimed to promote the economic, social and environmental development of the countryside. Its budget, 11% of the total EU budget, allocated along three axes. The first axis focused on improving the competitiveness of the farm and forestry sector through support for restructuring, development and innovation. The second one concerned the improvement of the environment and the countryside through support for land management as well as helping to fight climate change. Such projects could for example concern preserving water quality, sustainable land management, planting trees to prevent erosion and floods. The third axis concerned improving the quality of life in rural areas and encouraging diversification of economic activity. The policy also provided support to the Leader rural development methodology, under which Local Action Groups designed and carried out local development strategies for their area. Member States distributed "second pillar" funds through Rural Development Programme actions. In 2010 the European Commission discussed the next reform of the CAP, which would coincide with the next financial perspectives package, as from 2014. The Commissioner responsible for Agriculture and Rural Development Dacian Cioloş, outlined seven major challenges that the future CAP needed to address: food production, globalisation, the environment, economic issues, a territorial approach, diversity and simplification. On the 26th of June 2013 agreement was reached between the European Commission, the Council and the EU Parliament on a new CAP. The reformed common agricultural policy came into force in 2014. The Commission launched the CAP reform process with an extensive public debate on the future of the Cap between April and June 2010, followed by a public conference in July 2010, with around 600 participants. The purpose of the debate was to have different sectors of society taking part. "The Common Agricultural Policy is not just a matter for experts. It's a policy for all Europeans", said Commissioner Cioloş. 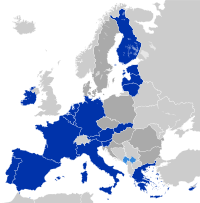 The Commission put forward its legislative proposals on 12 October 2011. The European Parliament and the Council, debated the text. The approval of the different regulations and implementing acts was received by mid-2013. The CAP reform came into force as from 1 January 2014. For the first time both institutions (European Parliament and the Council) decided on an equal footing on the new agriculture legislative package. Many developing countries are highly dependent on agriculture. The FAO finds that agriculture provides for the livelihood of 70% of the world's poorest people. As such, the subsidies in the CAP are charged with preventing developing countries from exporting agricultural produce to the EU on a level playing field. The WTO Doha Development Round, which intended to increase global development, has stalled due to the developed countries' refusal to remove agricultural subsidies. Parts of the EU stocks are exported with the use of export subsidies. It is argued that many African and Asian dairy, tomato, grain and poultry farmers cannot keep up with cheap competition from Europe, thus their incomes can no longer provide for their families. At the same time, many urbanised families in the developing world benefit from the relatively cheaper products stemming from Europe. Health groups have become increasingly vocal in their call for agricultural policies to contribute towards resolving the consumption problems of food; such as, excessive intake of saturated fatty acids (FSA), sugar and salt, or under-consumption of vitamins (leading to hypovitaminosis) and minerals. More attention should be paid, it is argued, on intervention policies upstream, at the primary food production and processing stages, to influence nutritional quality and the structural determinants of food choice, including; availability, accessibility and price. Although most policy makers in Europe agree that they want to promote "family farms" and smaller scale production, the CAP in fact rewards larger producers. Because the CAP has traditionally rewarded farmers who produce more, larger farms have benefited much more from subsidies than smaller farms. For example, a farm with 1000 hectares, earning an additional €100 per hectare will make an additional €100,000, while a 10 hectare farm will only make an extra €1000, disregarding economies of scale. As a result, most CAP subsidies have made their way to large scale farmers. Another aspect is difference between older Western European and newer Central and Eastern member states, due to transitional arrangements the latter received smaller payments. In 2013 payments per hectare were 527 euros in Greece and only 89 euros in Latvia. In compensation the newer members were allowed to provide national farm aid. In March 2018 EU agriculture ministers failed to achieve consensus on a declaration about future of CAP, with ministers of Estonia, Latvia, Lithuania, Poland, and Slovakia demanding fully equal subsidies across the union. The discrepancy in CAP funding is a cause of some consternation in the UK. As of 2004[update], France received more than double the CAP funds received by the UK (see diagram). This is a net benefit to France of €6.37 billion, compared to the UK. This is largely a reflection of the fact that France has more than double the land area of the UK. In comparison, the UK budget rebate for 2005 is scheduled to be approx €5.5 billion. The popular view in the UK (as, for example, set forth in the tabloid press) is that if the UK rebate were reduced with no change to the CAP, then the UK would be paying money to keep the French farming sector in business – to many people in the UK, this would be seen as unfair. Experts such as Prof. Alan Matthews believed 'greening' measures in the EU's proposed €418-billion post-2013 farm policy could lower the bloc's agricultural production potential by raising farm input costs by €5 billion, or around 2 percent. Only 5.4% of EU's population works on farms, and the farming sector is responsible for 1.6% of the GDP of the EU (2005). The number of European farmers is decreasing every year by 2%. Additionally, most Europeans live in cities, towns, and suburbs, not rural areas. The 2007-2008 world food price crisis renewed calls for farm subsidies to be removed in light of evidence that farm subsidies contribute to rocketing food prices, which has a particularly detrimental effect on developing countries. ^ a b "An Overview of the Common Agricultural Policy (CAP) in Ireland and potential regional and sectoral implications of future reforms" (PDF). Parliamentary Budget Office (PBO) of the Houses of the Oireachtas (Irish Parliament). 17 August 2018. Retrieved 22 April 2019. ^ "The draft 2015 CAP budget". ^ Glenny, Misha (2008). McMafia: A Journey Through The Global Criminal Underworld. Knopf. p. 10. ISBN 1400095123. ^ Ludlow, N. Piers. "The Making of the CAP: Towards a Historical Analysis of the EU's First Major Policy." Contemporary European History 14.03 (2005): 349-50. ^ Rosemary Fennell, The Common Agricultural Policy: Continuity and Change (Oxford: Oxford University Press, 1997), p. 12. ^ "Rapid – Press Releases – EUROPA". Europa (web portal). Retrieved 23 April 2011. ^ "Memorandum on the Reform of Agriculture in the European Economic Community And Annexes" (PDF). European Commission. Retrieved 14 April 2017. ^ Patterson, Lee Ann (Winter 1997). "Agricultural Policy Reform in the European Community: A Three-Level Game Analysis". International Organization. 51 (1): 135–165. doi:10.1162/002081897550320. JSTOR 2703954. ^ "Agenda 2000: for a stronger and wider Union". Europa.eu. 30 May 2013. Retrieved 12 March 2014. ^ "Agenda 2000 – A CAP for the future" (PDF). EU-Commission, Directorate-General for Agriculture. ^ "EUR-Lex - 31998R2799 - EN". Eur-lex.europa.eu. Retrieved 12 March 2014. ^ "Sapir Report on budget reforms" (PDF). Archived from the original (PDF) on 28 September 2006. ^ "The battle of the budget". The Economist. 3 March 2005. Retrieved 6 November 2014. ^ Nedergaard, Peter (July 2006). "The 2003 reform of the Common Agricultural Policy: against all odds or rational explanations?". Journal of European Integration. Taylor and Francis. 28 (3): 203–223. doi:10.1080/07036330600785749. See also: Fischler, Franz (16 September 2003). "Speech by Commissioner Fischler - From Cancun - The road ahead for the trade and agriculture negotiations (transcript of speech)". eu-un.europa.eu. European Union Delegation to the United Nations - New York: EU@UN - Partnership in Action. Archived from the original on 15 September 2015. Retrieved 27 February 2016. ^ "2003 subsidy reforms". EU. Retrieved 1 November 2007. ^ "Factsheet: The end of EU sugar production quotas" (PDF). The European Commission. 2018. ^ "Evaluation CMO sugar" (PDF). Europa.eu.int. 23 February 2009. Archived from the original (PDF) on 9 February 2006. Retrieved 23 April 2011. ^ "EU sugar reforms announcement". EU press release. Retrieved 1 November 2007. ^ "Agriculture and Rural Development – CAP reform: Sugar". European Commission. Retrieved 23 April 2011. ^ "African, Caribbean and Pacific Sugar Group". ACPsugar.org. Archived from the original on 4 July 2010. Retrieved 23 April 2011. ^ "Sugar reform". Archived from the original on 12 March 2007. ^ Hunt, Nigel (3 April 2018). "EU sugar companies struggle to survive as prices plunge post-quotas". Reuters. Retrieved 22 April 2019. ^ "top 20 cap payments". Farmers Guardian. 1 September 2006. Archived from the original on 24 July 2009. Retrieved 10 November 2007. ^ "Rural Payment Agency "Farm Payments by value 2003–2004". Rpa.gov.uk. 17 August 2006. Archived from the original on 25 December 2009. Retrieved 23 April 2011. ^ Taylor, Jerome (9 November 2007). "Off with their subsidies! EU threatens to slash huge annual payments to Britain's wealthiest landowners". The Independent. Archived from the original on 30 September 2008. Retrieved 6 February 2016. ^ "Document Library | Institute for Agriculture and Trade Policy". Iatp.org. Archived from the original on 23 August 2010. Retrieved 28 March 2012. ^ "EU Budget 2010 PDF" (PDF). ^ "The cost of the CAP". European Commission. 20 April 2009. Retrieved 23 April 2011. ^ "The current year: 2010". European Commission. Archived from the original on 15 August 2010. Retrieved 23 April 2011. ^ "'The CAP after 2013' Brussels". Europa (web portal). 20 July 2010. Retrieved 23 April 2011. ^ "'Overview of CAP Reform 2014-2020. Agricultural Policy Perspectives Brief N°5.' Brussels" (PDF). Europa (web portal). 20 December 2013. Retrieved 21 May 2015. ^ "CAP Reform - an explanation of the main elements. MEMO/13/621 26/06/2013. Brussels". Europa (web portal). 26 June 2013. Retrieved 21 May 2015. ^ Waterfield, Bruno (27 September 2007). "Set-aside subsidy halted to cut grain prices". The Daily Telegraph. London. Retrieved 30 April 2010. ^ "CAP debate outline for Summary Report" (PDF). ^ "The launch of the debate". Europa (web portal). 12 April 2010. Retrieved 23 April 2011. ^ "Communication from the Commission to the European Parliament, the Council, the European Economic and Social Committee and the Committee of the Regions: The CAP towards 2020: Meeting the food, natural resources and territorial challenges of the future". European Commission. 18 November 2010. Retrieved 6 November 2014. ^ "Legal proposals for the CAP after 2013 – Agriculture and rural development". European Commission. 12 October 2011. Retrieved 28 March 2012. ^ "EUROPA – Press Releases – The European Commission proposes a new partnership between Europe and the farmers". Europa (web portal). 12 October 2011. Retrieved 28 March 2012. ^ "Commission Communication on the CAP towards 2020 – Agriculture and rural development". European Commission. 18 November 2010. Retrieved 28 March 2012. ^ a b "Proposal for a Regulation of the European Parliament and of the Council establishing rules for direct payments to farmers under support schemes within the framework of the common agricultural policy" (PDF). European Commission. 19 October 2011. Retrieved 6 November 2014. ^ "Direct support – Agriculture and rural development" (PDF). European Commission. 19 September 2011. Retrieved 28 March 2012. ^ "Proposal for a Regulation of the European Parliament and of the Council amending Council Regulation (EC) No 1234/ 2007 as regards the regime of the single payment scheme and support to vine-growers" (PDF). European Commission. 12 October 2011. Retrieved 6 November 2014. ^ a b c "Proposal for a Regulation of the European Parliament and of the Council on support for rural development by the European Agricultural Fund for Rural Development (EAFRD)" (PDF). European Commission. 19 October 2011. Retrieved 6 November 2014. ^ "Proposal for a Council Regulation determining measures on fixing certain aids and refunds related to the common organisation of the markets in agricultural products" (PDF). European Commission. 12 October 2011. Retrieved 6 November 2014. ^ "Proposal for a Regulation of the European Parliament and of the Council on the financing, management and monitoring of the common agricultural policy" (PDF). European Commission. 19 October 2014. Retrieved 6 November 2014. ^ "Sweden proposes abolition of farm subsidy". Archived from the original on 29 August 2007. Retrieved 1 November 2007. ^ Matthews, Alan (December 2010). "How Might the EU's Common Agricultural Policy Affect Trade and Development After 2013?". ICTSD. ^ "The EU is the world's biggest importer of farm products" (PDF). European Commission. Retrieved 23 April 2011. ^ "Generalised System of Preferences: Everything But Arms". European Commission. Retrieved 23 April 2011. ^ "Economic Partnership Agreements between the EU and African, Caribbean and Pacific group of countries". European Commission. Retrieved 23 April 2011. ^ a b "independent think tank calling for radical reform of the EU". Open Europe. Archived from the original on 6 October 2011. Retrieved 23 April 2011. ^ "Return of the butter mountain | capreform.eu". Caphealthcheck.eu. Archived from the original on 11 February 2009. Retrieved 23 April 2011. ^ "EU to put cereal stocks on market by year-end". Eubusiness.com. Retrieved 23 April 2011. ^ "Europe approves €500 million of Food Aid for the Needy for 2011". Europa (web portal). 4 October 2010. Retrieved 23 April 2011. ^ "The Dark Side of the Italian Tomato". Journalism Grants. 26 June 2014. Retrieved 1 March 2018. ^ "Nigeria's tomato farmers squeezed by low prices". Al Jazeera. 17 May 2015. Retrieved 1 March 2018. ^ Frith, Maxine (16 May 2006). "EU subsidies deny Africa's farmers of their livelihood". The Independent. Retrieved 1 March 2018. ^ "The Doha Development Round of trade negotiations: understanding the issues". Oecd.org. Archived from the original on 12 June 2008. Retrieved 23 April 2011. ^ "The price of food". European Commission. 20 April 2009. Retrieved 23 April 2011. ^ "EPHA". EPHA. 20 September 2017. Retrieved 1 March 2018. ^ "Cioloş' view on small farms". European Parliament. 15 January 2010. Retrieved 23 April 2011. ^ EUtopia (12 July 2012). "EUtopia". Eutopia-blog.blogspot.de. ^ Robin McKie (26 May 2012). "How EU farming policies led to a collapse in Europe's bird population". The Guardian. London. Retrieved 6 November 2014. ^ "Country's rarest bumblebees make a comeback". Rspb.org.uk. 12 April 2011. Retrieved 23 April 2011. ^ "The Magazine from the European Network for Rural Development". Retrieved 23 April 2011. ^ "Microsoft Word – Agri-environment schemes and biodiversity in the EU – less" (PDF). Archived from the original (PDF) on 15 July 2011. Retrieved 23 April 2011. ^ Forgrave, Andrew (12 March 2015). "Warning of chainsaw massacre over Welsh farmland's 'ineligible features'". northwales. Retrieved 28 October 2016. ^ "Slip Sliding Away | George Monbiot". www.monbiot.com. Retrieved 28 October 2016. ^ a b "Q&A: Reform of EU farm policy". BBC News. 1 July 2013. Retrieved 7 August 2018. ^ Teffer, Peter (20 March 2018). "Five east European states prevent new CAP consensus". EUobserver. Retrieved 7 August 2018. ^ "EN" (PDF). Retrieved 23 April 2011. ^ Fairtrade Foundation (November 2010). "The great cotton stitch-up" (PDF). Archived from the original (PDF) on 25 December 2010. Retrieved 23 November 2010. ^ "Arrogant and hypocritical Chirac savaged by British press". Canadiancontent.net. Archived from the original on 25 March 2006. Retrieved 23 April 2011. ^ "News - Latest breaking UK news". Telegraph. 17 July 2011. Retrieved 12 March 2014. ^ "Q&A: Common Agricultural Policy". BBC News. 20 November 2008. Retrieved 30 April 2010. ^ "Q&A: The UK budget rebate". BBC News. 23 December 2005. Retrieved 30 April 2010. ^ "Key points of the EU budget deal". BBC News. 17 December 2005. Retrieved 30 April 2010. ^ "Financial Perspective 2007-2013" (PDF). Archived from the original (PDF) on 26 January 2006. Retrieved 29 January 2006. ^ "Turkey in Europe: Breaking the Vicious Circle" (PDF). Independentcommissiononturkey.org. 2009. Archived from the original (PDF) on 13 January 2010. Retrieved 30 April 2010. ^ "Food crisis set to weigh on CAP reform | EU – European Information on Sustainable Dev". EurActiv.com. 20 May 2008. Archived from the original on 9 June 2011. Retrieved 23 April 2011. Akrill, Robert, The Common Agricultural Policy (Sheffield: Sheffield Academic Press, 2000). European Commission. "Agriculture". The EU's common agricultural policy (CAP): for our food, for our countryside, for our environment. Retrieved 10 July 2018. Fennell, Rosemary, The Common Agricultural Policy of the European Community (London: Harper Collins, 1979; 2nd. ed. Wiley-Blackwell, 1988). Grant, Wyn, The Common Agricultural Policy (London: Palgrave Macmillan, 1997). Harris, Simon and Swinbank, Alan and Wilkinson, Guy, The Food and Farm Policies of the European Community (Chichester: John Wiley & Sons, 1983). Knudson, Ann-Christina L., Farmers on Welfare: The Making of Europe's Common Agricultural Policy (Cornell University Press, 2009). Neville-Rofle, Edmund, The Politics of Agriculture in the European Community (Policy Studies Institute, European Centre, 1984). This page was last edited on 23 April 2019, at 15:00 (UTC).